filling out Registration/Health PDF form. All students must register on ACCEPTD by May 31, 2018. Students should disregard any audition instructions on ACCEPTD. East Central Region is only using ACCEPTD for registrations ONLY. Auditions will be live at Mt. Vernon HS. Recordings will NOT be submitted! Registration Fee is $15 on ACCEPTD. 1. Parent and student email address. 2. Your directors contact information. 3. 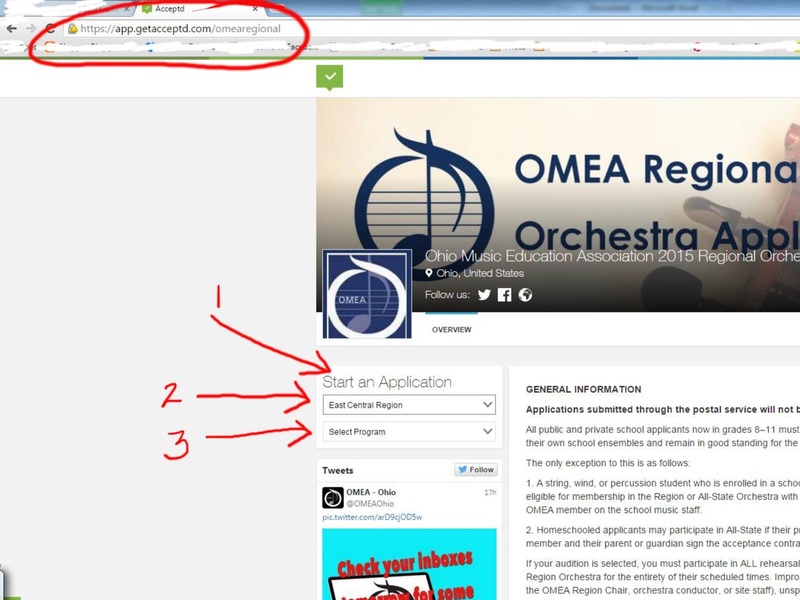 Your directors 9 digit NAfME identification number. 4. Credit card for the $15 fee (paid directly to Acceptd)- nonrefundable. 2. Perform two scales listed on audition excerpt page. 3. Perform three excerpts provided on audition excerpt page. and region orchestra fee of $45 nonrefundable by September 21. Only violins auditioning for first violin will be considered for All State Orchestra. 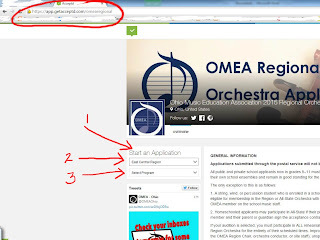 Some first violin audition results may be placed in violin 2 to balance the sections. The first stand of the second violins will be the 5th and 6th violinists from the first violin auditions. As a result, the first three stands and the first stand of the second violin will be selected for All State Orchestra. 4. Announce the students name and selection on the recording.